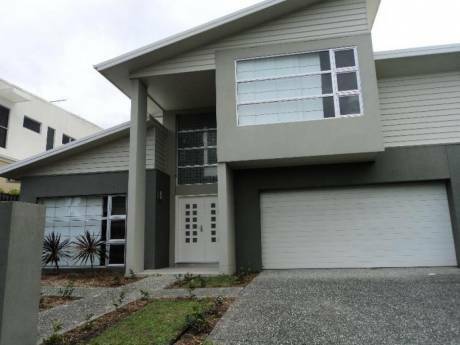 We live in a cul-de-sac on a hill with views over the entire Gold Coast/Surfers Paradise/Pacific Ocean on a 4 ha property, mainly forest down the back. There is a fruit tree orchard and a vegetable garden and a little fish pond. The house was designed by ourselves and made to enviromental friendly standards (timber, BIO paints, solar hot water etc.). The kitchen/dining area and living area are open and have large windows overlooking the coast. 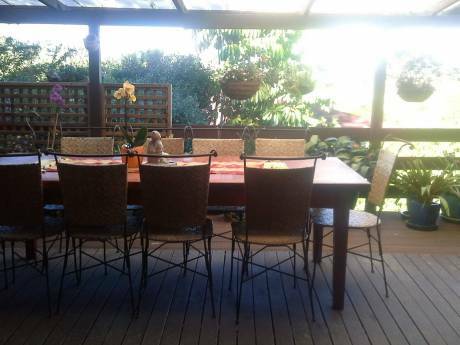 Around the house is a large timber deck with table and seating for 8. We have 2 double bedrooms and 1 kids room, the granny flat is not quite finished right now. All together there are 3 bathrooms, each with shower, toilet, basin, main bathroom with bidet and Japanese bath tub as well, and an extra toilet in the powder room. In the laundry there is a washing machine and dryer. We are very fastidious and so there is no smoking and no animals allowed inside. We have two dogs outside in their own enclosure (an Irish wolfhound - a gentle giant- and a very friendly pitbull cross), and if you like, you can take care of them, or we can find another accomodation for them. There is a play area with sandpit, swing and slide. The property is fully fenced. We have a 99 Mitsubishi station waagon (seats 5) which can be used. We are a family of three, Reiner 55, Judy 44 and a child 8. Originally we came from Germany. Reiner already had lived in Australia since 1982. We moved forwards and backwards for a while but have now settled at this beautiful spot. Judy is a teacher but stays at home right now to look after the child, the dogs, the house and the garden. Reiner is an engineer and we are about to start our own business. We love to travel, the beaches as well as the outback or rainforests. Reiner is a real handyman and doing a lot in/around the house and garden. Our child goes to the local Montessori school. There are only a few houses on our street, all the blocks are about 3 to 4 ha, with lots of trees and wildlife. Helpful, friendly and international neighbourhood. There was even a koala on our property a few months ago, lots of beautiful birds and the occasional wallaby. 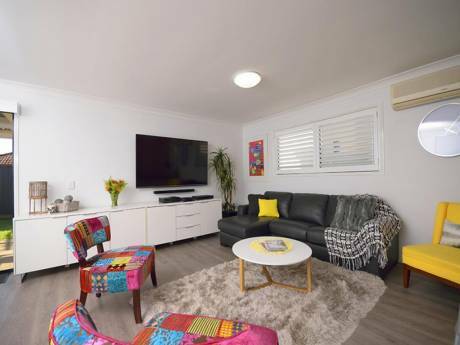 We are about 10 min from the Pacific highway (M1 north to Brisbane about 80 km, south to Byron Bay about 90 km) and Robina shopping centre with the rail way to Brisbane and airport, and about 15 min to the beautiful beaches of the Gold Coast. There is lots to do and see in the area: theme parks like Movieworld, Dreamworld or Seaworld, the subtropical rainforest of the hinterland (heritage listed National parks like Lamington, Springbrook or Binna Burra) and off course all the water activities at the sandy beaches. You can indulge in shopping, the finest restaurants or have a quiet picnic in the gorgeous Tweed Valley, Tambourine Mountains or further inland.